CCHI’s statewide network has been working to provide quality health coverage and access to care to children for over a decade. These efforts have been tracked and highlighted in the below research and reports by sources such as the University of Southern California Center for Community Health Studies, Mathematica Policy Research Inc, and the Urban Institute. Please feel free to download and use these documents. Contact us with any questions or feedback you may have. Using the most recent data—2015–16 data weighted to 2016 population—from the California Health Interview Survey (CHIS), a population-based survey of California’s population, Health Affairs examine various key points to improve our understanding of immigrants and their use of public programs. They focus on Medicaid, SNAP, TANF, and SSI, data that CHIS collects, but note that the proposed public charge rule change could extend to more public benefits. This report, a project of one of our partners, reviews how California achieved 98% health coverage for California children. It describes strategic considerations for other states trying to achieve 100% children's coverage and lessons learned on how to defend those coverage levels. CCHI and CCHI members contributed to the report. Presented here are the results for 2006 from the continuing statewide evaluation comparing utilization and quality outcomes between Healthy Kids and the more established Medi-Cal and Healthy Families Programs. Additionally, this report provides feedback to the CHIs regarding their relative performance on access, utilization, and quality through an analysis of performance improvement and achievement scores across counties. This brief describes some of the many positive impacts that Healthy Kids programs have had on children’s access and use of dental services. Common chronic conditions in childhood, such as asthma or diabetes, can usually be managed with adequate primary care. Without primary care, these problems become more severe and may eventually require hospitalization. In this brief, we examine the relationship between the growth of CHIs and rates of preventable hospitalizations. This brief presents highlights from rigorous, independent evaluations of the Healthy Kids programs in three California counties, Los Angeles, San Mateo, and Santa Clara. Launched by Children’s Health Initiatives (CHIs) in these counties between 2001 and 2003, the three Healthy Kids programs provide children with comprehensive health insurance coverage, including a broad range of medical and dental care, prescription drugs, and mental health services. In the midst of health care reform debate at the state and national levels, the Children’s Health Initiatives (CHIs) continue to provide coverage to otherwise uninsured children in California primarily via Healthy Kids. Healthy Kids is still the only affordable source of comprehensive coverage for these children, but anticipated funding deficits threaten to close these programs and disenroll thousands of children in the absence of state funding. This report highlights the experiences of the CHIs as they aim to remain viable while waiting for legislative action. Several California counties have formed Children’s Health Initiatives (CHIs) and designed locally-funded and operated health insurance programs known as Healthy Kids. As of July 2007, Healthy Kids programs have collectively covered more than 86,000 children in 22 of California’s most populous counties. Since 2001, 25 California counties have formed Children’s Health Initiatives (CHIs) to design and offer health insurance products known as Healthy Kids for low-income children ineligible for Medi-Cal or Healthy Families. These programs are locally funded through a mix of public and private dollars. However, funding in certain counties was not keeping pace with enrollments, leading to an enrollment freeze or the formation of waitlists. This brief highlights the latest evaluation findings on the financial sustainability of Healthy Kids programs. 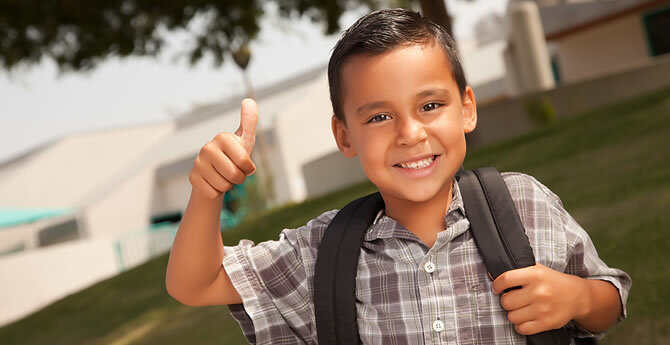 In July 2003, a new program called Healthy Kids began in Los Angeles, California. This program provides new insurance for uninsured children in families with income below 300 percent of the federal poverty level who are not entitled to Medi-Cal or Healthy Families (California’s State Children’s Health Insurance Program). This report presents results from the evaluation of the Los Angeles Healthy Kids Program showing the impact of the program on newly enrolling children ages one to five years of age. This brief presents findings from two surveys of families with incomes below 250 percent of the federal poverty level with a child enrolled in Healthy Kids. Families were first surveyed after their child had been enrolled for about one year. They were surveyed again after their child had been enrolled for about four years. The brief describes changes in children’s medical care and other outcomes between these two surveys— that is, during the most recent three years that they had stable Healthy Kids coverage. This brief presents findings from a survey of families with children enrolled in the Healthy Kids program in Santa Clara County, California. Launched in January 2001 by the Santa Clara County Children’s Health Initiative (CHI), Healthy Kids provides health insurance coverage to children in the county with household incomes up to 300 percent of the federal poverty level ($62,000 for a family of four) who are ineligible for the two major state insurance programs, Medi-Cal and Healthy Families.